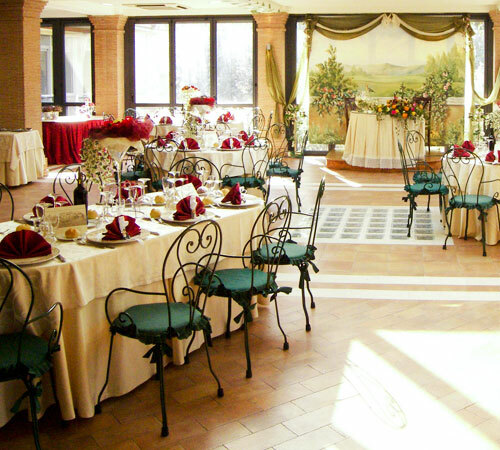 Among the restaurants where to celebrate a special event in Frosinone, Al Poggio di Casalucense distinguishes itself for the elegance of its details. 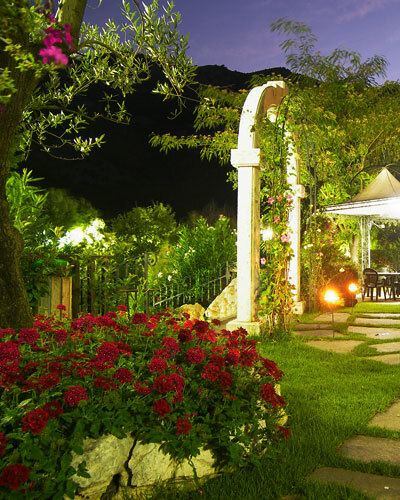 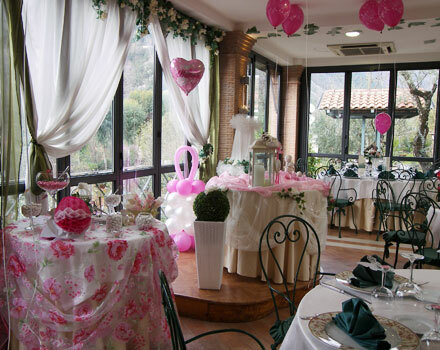 Here, your romantic moments will become unforgettable, even thanks to the professionalism of the staff in the planning of weddings, banquests, anniversaries, Holy Communions, Baptisms, and any other kind of event, in the Latium. 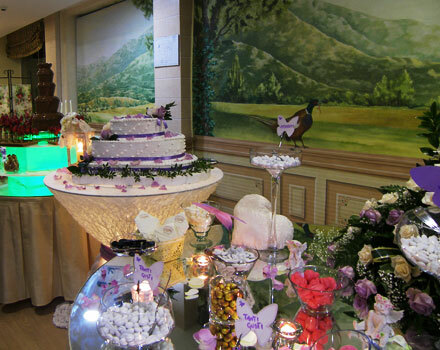 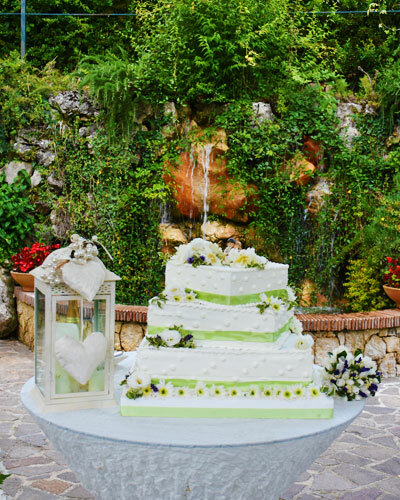 Furthermore, the amazing view on the surrounding Park, rich in floral plants and fountains with falls, will be the most suitable frame for your event. 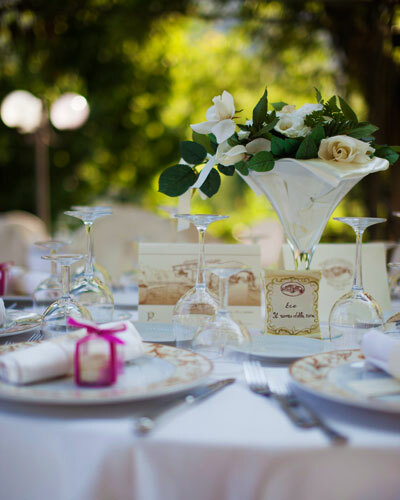 In celebrating an event, any kind of, everything has to be defined in any details, by considering the spaces, the lights, music, colors, and the personality of the Guests and the convenience or the refinement of the food and the spaces that will be proposed. 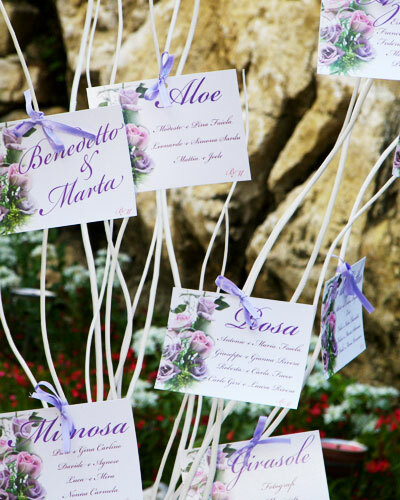 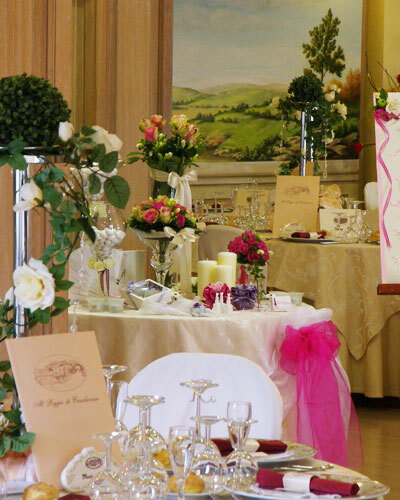 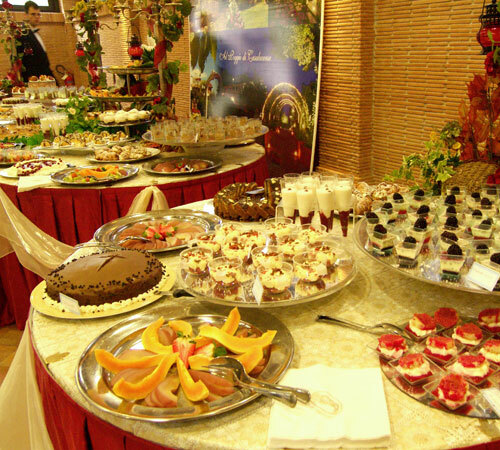 To avoid to overlook any of these and other aspects, Merucci-Mariani family give at everyone's disposal its professionalism, to help you to plan a unique wedding, like in a wonderful fairy tale. 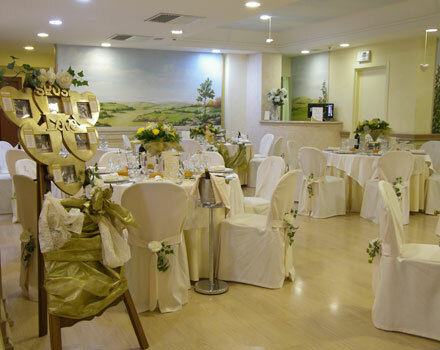 Your best moments will be make unique even thanks to the atmosphere that can be felt in our welcoming rooms, and above all in the "Gelsomini" room, that is surrounded by a blooming park, rich in arboreal woods and colorful flowers, that make this place a really unique venue. 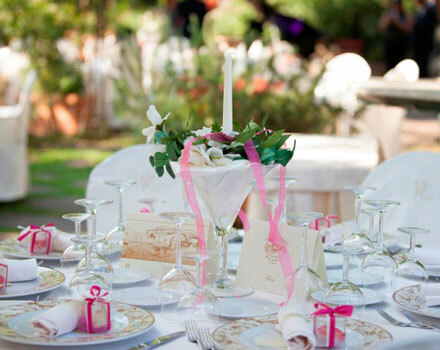 Our cooking proposes modern experimentations and menus according to the best Ciociara tradition. 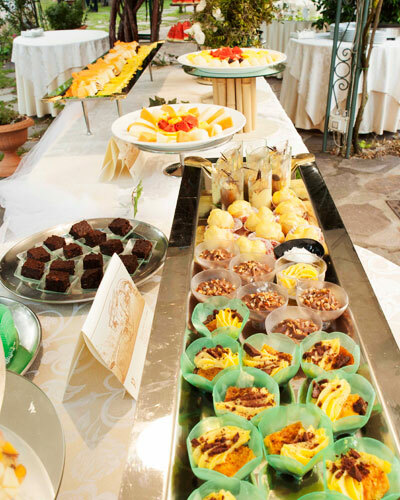 Our chef, at " Al Poggio di Casalucense", love indeed to preserve that hybrid nature of high class culinary art that merges with often simple tastes.